No matter how you view it, abortion is just not a simple medical procedure. Most women view abortion as a life-altering event which can greatly affect them with several significant emotional, physical, and spiritual consequences. A large number of women who have undergone abortion procedures are quite regretful and say that they wish that they should have been told of all the facts and risks of abortion before undergoing the process. There are different abortion procedures available. The first one is called the manual vaccum aspiration. This procedure is done on a fetus as old as only 7 weeks after the woman’s last menstrual period. 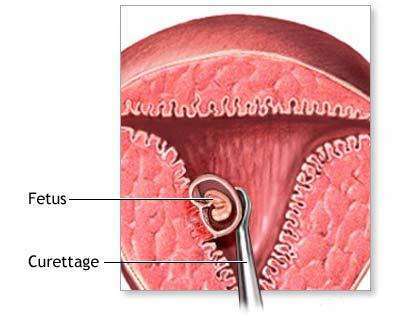 What happens during this process is that a long, thin tube is inserted into the uterus, and then a large syringe is attached so that the embryo is suctioned out easily and instantly. The other type of abortion procedure is the suction curettage, and is done between 6 to 14 weeks after the last menstrual period. This procedure is actually the most common of the lot. During this process, the baby is large enough that the doctor will stretch the cervix open first using metal rods. Because opening the cervix is very painful, local or general anesthesia is needed. Once the cervix is stretched open, the doctor then inserts a hard plastic tube straight into the uterus. This tube will then be attached to the suction machine, and the suction pulls the fetus out of the uterus. There are also cases wherein the doctors use a loop-shaped knife called the curette. What they do is that they scrape the fetus and fetal parts out of the uterus.The third type of abortion is the dilation and evacuation. This surgical procedure is done usually during the second trimester of the pregnancy. Because the fetus is already quite large during this time of the pregnancy, suction alone will not be able to remove it from the uterus. What the doctors will do then is that they open the cervix larger and wider than in the first trimester abortion. This process is completed by inserting numerous thin rods made of seaweed at least a couple of days before the abortion procedure. Once the cervix is opened wide enough, the doctor is ready to pull out the baby out of the uterus. The skull of the fetus during this time is crushed so that it will be easy to take it out. The curette is also used in this process to scrape out all of the contents of the uterus and remove all of the remaining tissues. The fourth type of abortion procedure is the dilation and extraction, and is done 20 weeks from last menstrual period. This procedure commonly takes place over a span of three days, and there is a high risk of death on the mother. During the first day of the procedure, the fetal heart is injected with medication which stops the heart and causes the fetus to die. After that, the cervix is stretched open, and then on the last day, the amniotic sac is drained.